Top Ten Tuesday is a bookish meme hosted by The Broke and The Bookish. This week’s topic is Ten Books That Will Make You Laugh (or at least chuckle). I haven’t done a TTT in a while and this seemed like the perfect time to jump back into it. I love to laugh and books that have me on the floor laughing are my favorites. Some of these are going to be throwbacks because they are my ultimate pick-me-ups when I need a good laugh! The dialogue in this series is HILARIOUS! The banter between Daemon and Kat is so entertaining and their relationship was one thing I loved most about this book. Also, the side characters are pretty entertaining themselves, especially Daemon’s twin sister, Dee. Suze is a badass, for the most part, and I love reading about all the trouble she finds herself as she uses her special gift to help the dead move forward in life. 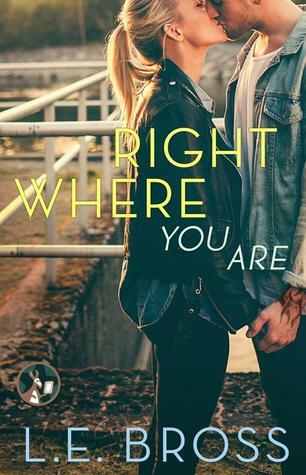 She’s trying to figure out who she is while also trying to navigate a new city, find new friends, and deal with going from an only child to having three annoying stepbrothers. It’s never a dull moment with Suze. Another one of my favorite’s from Meg Cabot, this series follows our main character Jess who after being struck by lightening has the ability to find people when she dreams. The FBI find out about her powers and she soon finds herself working for them, even though she doesn’t play by their rules. She is loudmouthed and has a mean right hook. Just like with the Mediator series, this series will keep you laughing literally until the end. DO I REALLY NEED TO EXPLAIN THIS ONE (AGAIN?!). SHENANIGANS, SHENANIGANS EVERYWHERE! The Slammed series is ABSOLUTELY ADORABLE and HILARIOUS and A GOOD TIME! Even though it has it’s serious moments, I love Will and Layken’s relationship. The KIDS in these books are my favorite. So many shenanigans and food fights, this series will not disappoint! Yet, another CoHo series, but this series has one of my MOST FAVORITE secondary characters ever, Warren! He’s blunt, inappropriate, has no shame in his game, but he has a big heart and he never let’s his friends down. 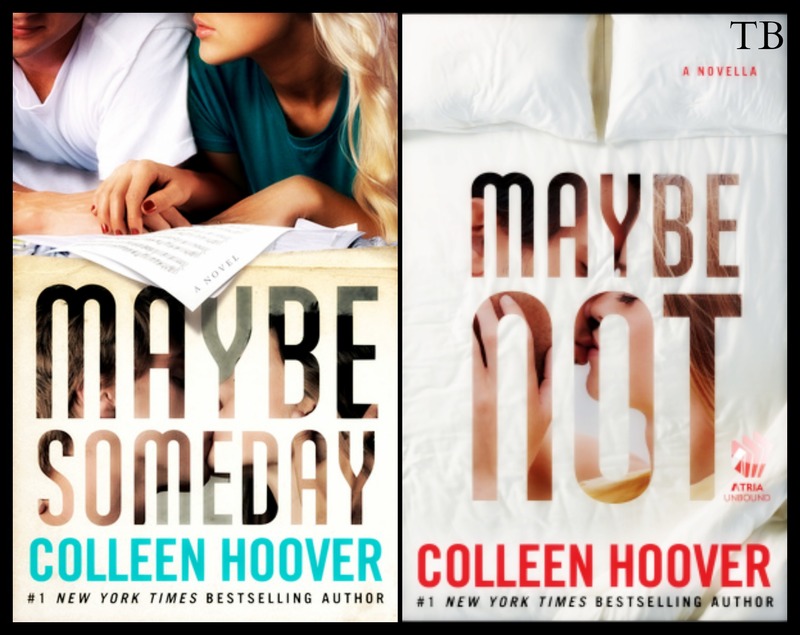 If you just want the laughs alone, I recommend reading Maybe Not, less drama, more fun! I don’t particularly like chick-lit, but this book was HELLA FUNNY!! All the characters were entertaining. The ending was the best. I can still picture it in my mind because it was so completely awkward and embarrassing, in a good way of course. THIS BOOK IS PRETTY DAMN GOOD! READ IT! The second installment in the Crossfire series is my favorite and it’s also the funniest. Eva Tramell and Cary Taylor are a dynamic BFF team that know how to have fun and find trouble. 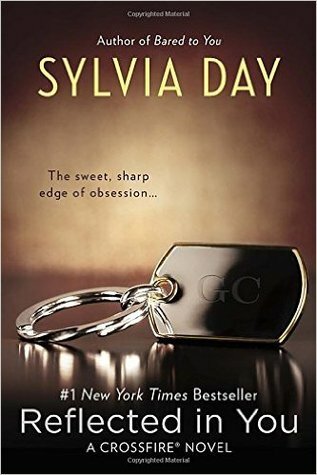 Eva goes around flipping everyone off as she tries to learn more about Gideon’s past and Cary does what Cary does best, he finds himself in a love triangle. It’s a mess, but in a good way. Right from the very first page, I was laughing. Any MC who goes all Carrie Underwood on her cheating exes new car in my kind of girl. But that lands her time doing community service where she meets a guy and the two start off hating each other, but then hate turns to like and the rest is history. These two were a good time and I love this book! That’s all for this weeks TTT. Oh, the Off-Campus series! They make me laugh so much. YES! It is great fluff with fun characters and lots of shenanigans XD. Man, I haven’t read those Meg Cabot series in forever. They were my favourite when I was in middle school. You’re not the first person to mention Mediator lately & now I just really wanna reread all those books again! I love Cabot’s writing. I don’t think I could ever get tired of it. Did you read the latest book that came out, Remembrance? I think that’s why people have been talking about this series. It wrapped up this series quite nicely! Yessss Off Campus. So. Stinking. Funny. Your the second person now that I’ve seen mention the Mediator Series by Meg Cabot. I think I need to check into it because I haven’t read anything since Princess Diaries when I was younger. I’ve been trying to get my hands on the Lux series, but it’s been difficult, which is frustrating. Oh well, what can you do? Great list! Off-Campus IS THE BEST! I need the fourth book NOW! The Mediator is one of my favorites! I like it better than Princess Diaries. I never finished that series because TOO MANY BOOKS! XD Did you try bookoutlet for the Lux series? That’s where I bought my copies & they were so inexpensive! I’ve honestly only read the Deal, but I own the Mistake soooo I need to get around to reading it, haha. That happened with a lot of series I was reading. I’m hoping to make up some ground this summer. HAHA I’M SUPER HAPPY TO READ YOUR COMMENTS ON BET ME. That book’s ending was so wacky! And the characters are just gold, and I looove, love, love it. I just love it.